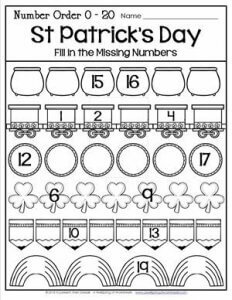 In this St Patrick’s Day worksheet kids fill in the missing numbers from 0-20. This gives them six rows of sequencing practice. None of the rows begin with 1, but there is one that begins with 0.